1. Make Regular Appointments: Having regular check-ups is something that must not be neglected. Such check-ups are your best bet to make sure that everything falls in place as intended. Miss one, and you would risk yourself by creating small issues which might possibly develop into complex ones. 2. Modify Your Food Habits: Dentists will give you instructions in regard of dietary habits. This includes a list of foods to be avoided such as steaks and candies, alongside the recommendation to go for soft foods that doesn’t need much chewing. 3. Follow Good Oral Hygiene: If bad oral hygiene was the reason behind availing implants, now is the time for you to start over. Executing correct brushing and flossing techniques would help in maintaining adequate oral health. 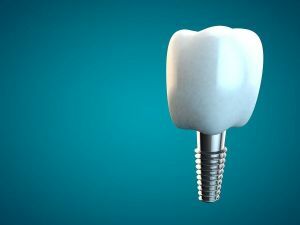 Your dentist would assist you to follow such techniques that wouldn’t impact your implants. 4. Wear a Guard: If you tend to grind your teeth often at night or when you are in stress, it is better to have a mouth guard. This will shield your implants from any movements arising out of pressure by grinding. Mouth guards are also recommended for those who play sports as well. Following these tips regularly will ensure long lasting life for your dental implants. This also prevents you from spending too much by often replacing them.